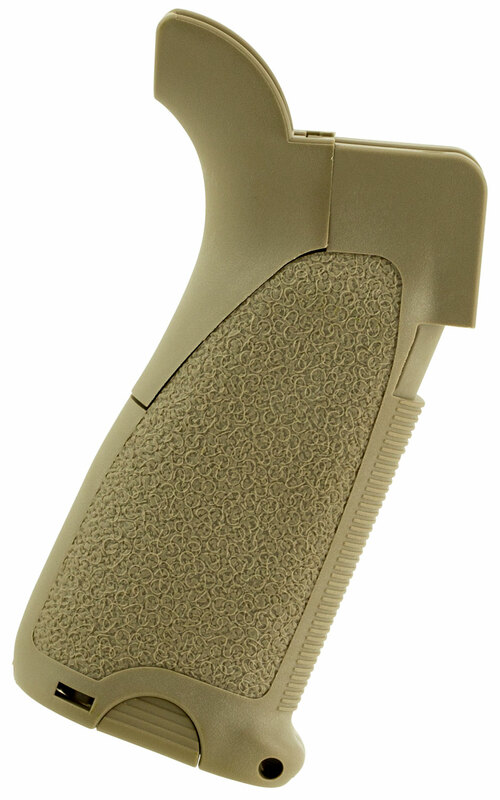 This AR-15 grip reduces grip angles which keeps wrist in line with trigger for improved ergonomics and trigger control. It features interchangeable inserts for either a smooth front strap or a "duckbill" to cover trigger guard gap, and backstraps for various hand sizes, weapons, and grip positions. The grip comes with a hinged trap door with interior storage compartment and water resistant rubber gasket.